Staying healthy can be a challenge in the fast paced society we live in today – fast foods, obesity, no exercise, which all can lead to diseases such as cancer, diabetes, stroke, etc. But there might be an answer to what one can do to help avoid that and start walking on the healthy path. According to Dr. Juanita Santillan from Aloe Plus Pain Relief Clinic in Chicago, weight loss, health and natural medicine go hand in hand. 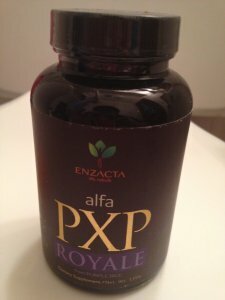 In her many years of practice she found three very useful products that if used regularly can help with obesity, discomfort, stress, confused immune system, lack of memory, elevated or low blood sugar and more: the purple rice, the alpha energy squirt and the adaptogens. What is the purple rice and how it can help? The purple rice is a natural powder that contains polyphenols, polysacharides and polypeptides. These elements help protect mitochondria from damage, which helps cells repair and regenerate and stimulate to a stronger immune system. This powder, according to Dr. Santillan, also helps with asthma problems and weight loss. This hydrating water formula improves hydration in the body. It also increases oxygen levels in water up to 50 percent. It helps balance your pH levels in a simple way. According to Dr. Santillan, a drop of the squirt into your water can help hydrate you for the rest of the day because it makes you drink more and you feel thirstier. The importance of the adaptogens? This natural liquid helps the body handle physical and emotional stress. It has a positive effect with cortisol and insulin hormones. This delicious formula includes acal berries, pomegranates, prickly pear, pineapple, apple and pear concentrates. According to D. Sentillan, consuming this product daily is a key to weight loss, stress, emotional eating, detoxification and libido. For more information on these and other natural products, visit: www.drjuanita.enzacta.com. To get in contact with Dr. Sentillan, call 773-991-5500 or visit her at 5215 S. Kedzie Ave in Chicago.